According to a recent news report, July, 2012, was the hottest month in the lower 48 states since the government started keeping temperature records 117 years ago. A good way to beat the heat is to serve something cold for supper. 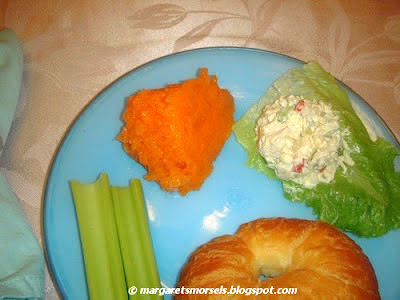 One of my favorite warm weather pairings is homemade chicken salad and a refreshingly cold congealed salad. Most of the time, I make my husband's favorite, cherry gelatin fruit salad, but sometimes I switch things up and serve an orange salad instead. 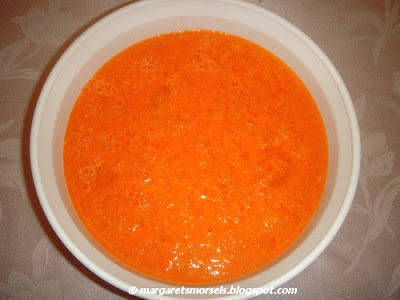 The recipe I'm sharing, Fruity Orange Gelatin, offers a triple burst of orange flavor. Not only does the recipe call for orange gelatin, but also mandarin oranges and, what makes the recipe so refreshing, orange sherbet. If you can find it, you can use sugar-free sherbet instead of the regular kind. 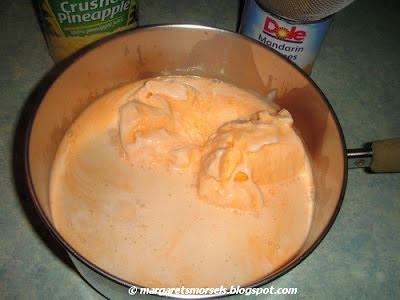 Remove the sherbet from the freezer and let it stand at room temperature a few minutes to soften. 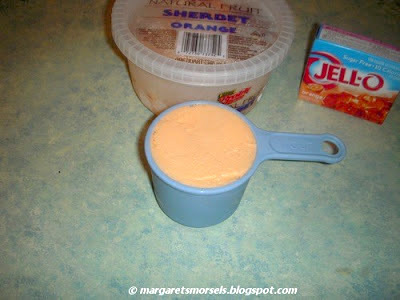 When it's soft, measure two cups and put the rest back in the freezer. To get an accurate measurement, use measuring cups designed for dry ingredients. Bring the water to a boil and remove from the heat. 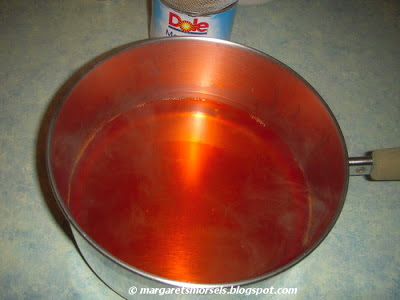 Add the gelatin and stir until it's dissolved. 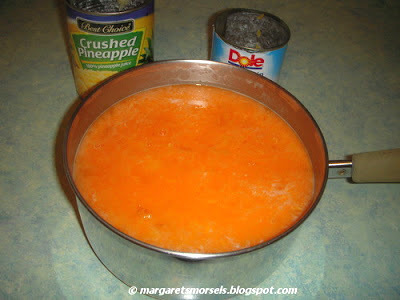 Add mandarin oranges and crushed pineapple. Although fresh pineapple is delicious, don't use it in a congealed salad. It contains an enzyme that prevents the gelatin from congealing. Stir to combine the ingredients. 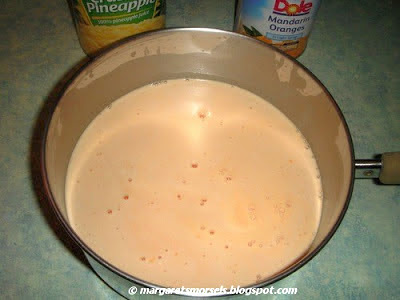 Pour the mixture into a 2-quart serving bowl or decorative mold. Make sure to thoroughly spray the mold -- including crevices -- with nonstick cooking spray before adding the mixture. If you spray a square or rectangular dish with cooking spray, the salad can be cut into squares and served on lettuce leaves for a pretty presentation. The cherry gelatin fruit salad can be confused with strawberry, cranberry and raspberry. You won't have that problem with this salad, though, because people will know it's obviously orange! Bring water to a boil; remove from heat. Add gelatin and stir until dissolved. Stir in sherbet until melted. Stir in oranges and pineapple. Pour into a 2-quart serving bowl or decorative mold. Chill until firm.